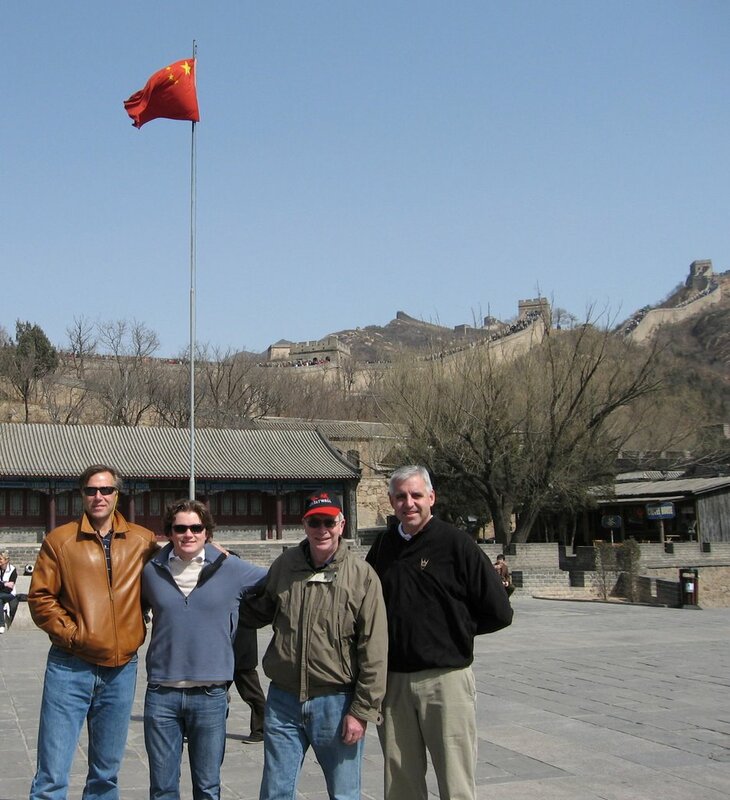 A group of us boarded a shuttle bus at 8:30 am for a trip to the Great Wall of China. It lived up to its impossibly high expectations, an unbelievable site. Imagine building a wall from New York to Los Angeles. Now, do it in the 3rd Century BC over mountains. I think it was build by aliens. Of course, it’s pretty touristy, but that does not take away from its grandeur. I don’t have a lot of time, right now (we’re off to dinner at the Green Tea Restaurant), but I wanted to get this posted. Now, see below for proof that I was actually there. That’s me with Fred Rohlfing, Jeremy Stewart and Rob Allyn. I’m having serious problems posting pictures, but there’s much more to come. 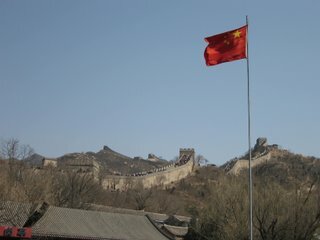 We went from here to the Forbidden City.